Mike Brady, President and CEO of Greyston, is building on the organization’s 33 year heritage as a leading social enterprise. Greyston is best known for its practice of Open Hiring™ which embraces an individual’s potential by providing employment opportunities regardless of background or work history while bringing together the support and services needed to succeed in the workplace and to thrive in the community. Mike led Greyston Bakery as President for four years, driving strategic business development with long-standing partner Ben & Jerry’s and with new partners such as Whole Foods Market. During this time, the Bakery realized nearly 100% revenue growth and became New York State’s first registered Benefit Corporation. Mike recently took responsibility for all Greyston’s programs and businesses including Workforce Development, Community Gardens, Housing, Health Services and Early Learning Center. Mike’s passion lie in the integration of business and social good, particularly through the scaling of Open Hiring™, which has the potential to support millions of individuals facing barriers to employment. Mike is a regularly featured speaker and mentor on social entrepreneurism and mindfulness in business, having presented at Ted @ Unilever, CGI America, the Ashoka Future Forum, Harvard, Yale, Columbia, Wharton and Brown. Prior to joining Greyston, Mike was a partner with BAO Food and Drink, where he oversaw the development of the first incubator in the country dedicated to organic food production and distribution. He has more than 20 years of experience in strategy and management positions, identifying business opportunities in high-growth and transitional industries. Mike serves as a business adviser to the American Sustainable Business Council (ASBC) and Social Enterprise Alliance (SEA) helping to promote policies for a sustainable economy. A graduate of the University of Pennsylvania’s Wharton School, Mike now lives outside of New York City with his wife and two sons. A pioneering social enterprise, Greyston practices Open Hiring™ in its world-class commercial bakery, advancesthe Open Hiring™ Model at the Center for Open Hiring™ at Greyston and supports its employees and neighbors with innovative community programs. 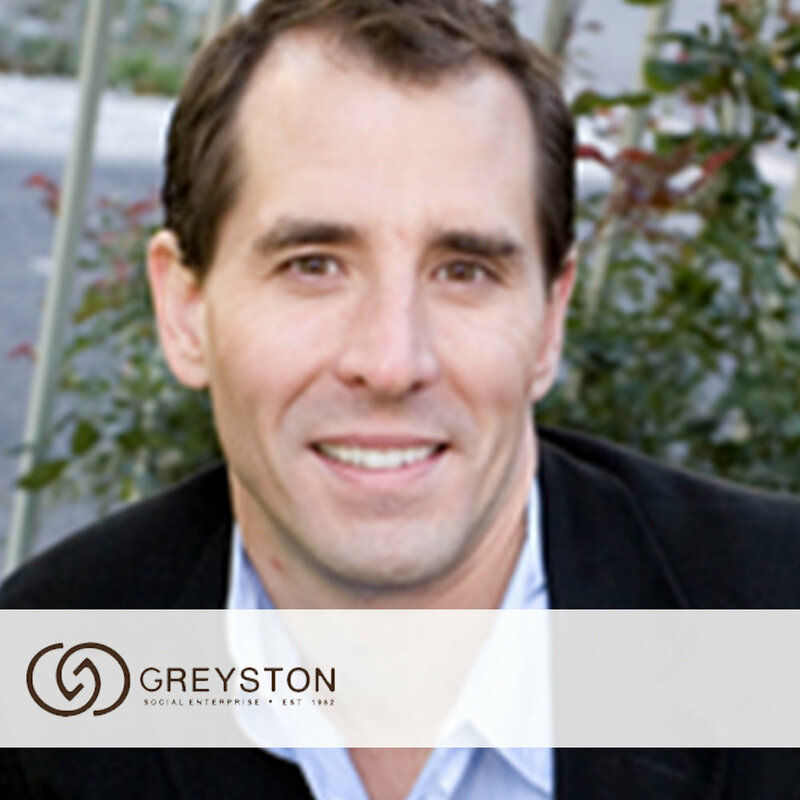 Founded in 1982, Greyston is New York State’s first registered benefit corporation. By filling jobs without judging applicants or asking them any questions, Open Hiring™ creates opportunities for people who have often been excluded. Greyston manufactures more than 30,000 pounds of brownies every day for clients such as Ben & Jerry’s and Whole Foods Market. Greyston’s community programs help more than 5,000 people annually in our community of Southwest Yonkers through Workforce Development, housing and healthcare, childcare, and community gardens.